“You are sent on a mission to destroy a combine base. The rebels have figured out if they can make you light enough, they can trick the combine into taking you into their docking area via a container. 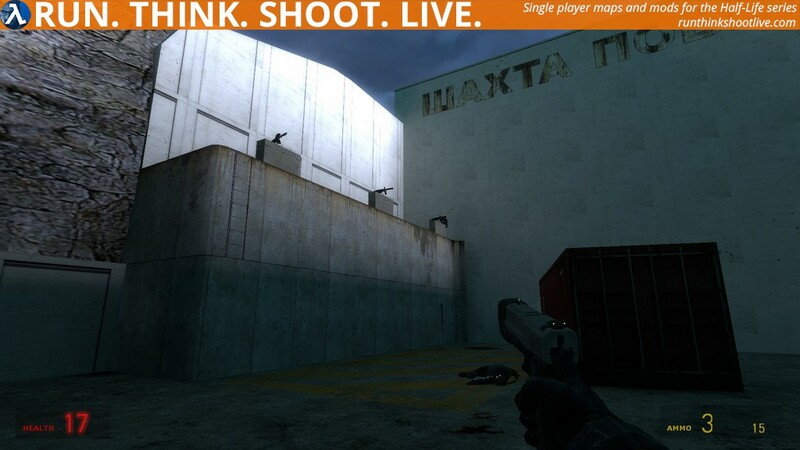 Copy imperious.bsp into your …\Steam\SteamApps\common\Half-Life 2\ep2\maps\ folder. 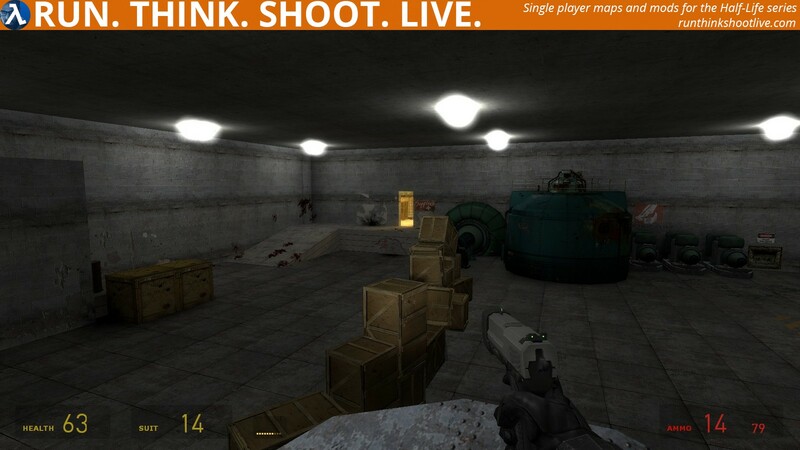 Copy imperious.ain into your …\Steam\SteamApps\common\Half-Life 2\ep2\maps\graphs\ folder. Open the console and type map imperious and now press ENTER. Let me start by being completely honest and saying I didn’t enjoy this release. I have given it a MAYBE though because I suspect that some people will enjoy the challenge. My reasons for not enjoying it are personal and they may not bother you. Firstly, I found it hard, I mean crazy hard. I like challenging mods but this was hard because of the number of Combine, not because of clever placement or design. Secondly, the layout and design made no sense. There’s containers in areas with no way for them to be put there. Attention to details like that separate these kinds of releases from the top notch ones. The area needs to feel real within the limits of the game. Next, there was no reason for the Combine to be stationed with the mounted guns – again it makes no sense. It seems the author learnt how to start fires and added it at every opportunity. The gunships can’t follow you around a corner and the “floor is lava” at the end is completely unfair and again MAKES NO SENSE. I would suggest the author think more carefully about the are they plan to make and ensure it has a clear and real purpose. There were too many brushes overlapping each other and the slowest opening door (with HOM effects too) I have ever seen. All in all, not much fun for me to play. I feel many of these issues could have been identified and addressed with a few beta releases and with the SMC Discord server, there is no excuse for not getting something tested. I am sorry to seem harsh, but nothing I have said is untrue or unfair. It’s not very polished but there is a good 20 – 30 minutes of play here. It does get a bit repetitive with the fires and the ending was disappointing but overall it was ok. I would have liked to have an RPG launcher made available to the player and a proper ending that didn’t involve the ground inflicting damage for no apparent reason. There’s not much new to play these days so it’s worth a shot. This map is kind of odd. I decompiled it and found that the creator had a firm grasp on the concept of using hint/trigger brushes and overall coding as well as using nodraw on faces that aren’t visible. So he’s got some concepts down pat, but then he creates these boring, empty areas with not much of anything going on except for copious amounts of z-fighting. 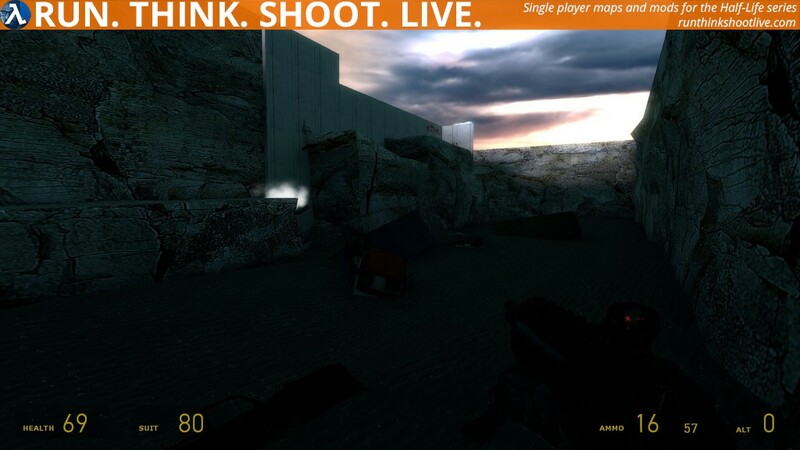 The map would’ve benefitted a lot from access to a larger variety of weapons, as well as decreasing the amount of AR-2s and shotguns the enemies had access to. The dev definitely knows what he’s doing in some areas, and I have no doubt he could create a stellar map given a little more time to develop his level design abilities. 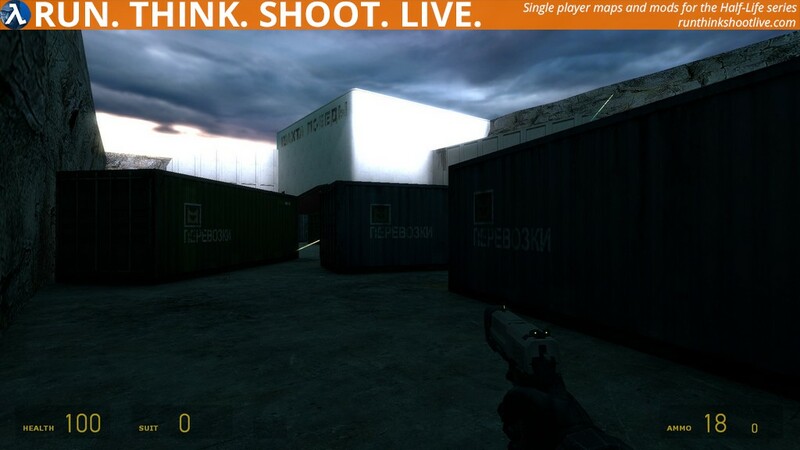 Play a couple of highly-rated maps and see how they model an environment, then try to replicate it. You could probably make something way better that way. We all just somewhere! The map wasn’t polished, there was big cubic room, the cliffs weren’t displacements… But the creator used no draw, hint… and that’s cool! Why are combines defending this place? There was just lots of crates, generator, and the most valuable thing in this place was the gravity gun! Why did the floor burn at the end? Maybe you should have made a tunnel, like this the player would have the feeling he really escapes, all is good in a marvelous world! Why when I use that control panel, everything explodes? 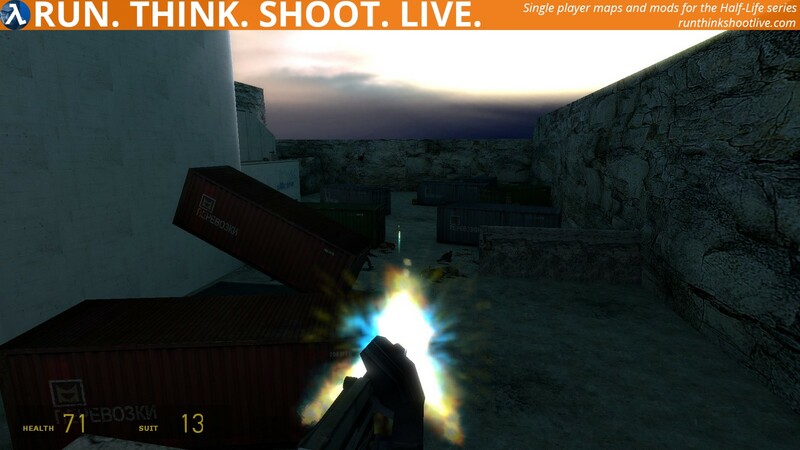 I know, it’s the point, but you should have made the player take some explosive barrels, and put them in some places. 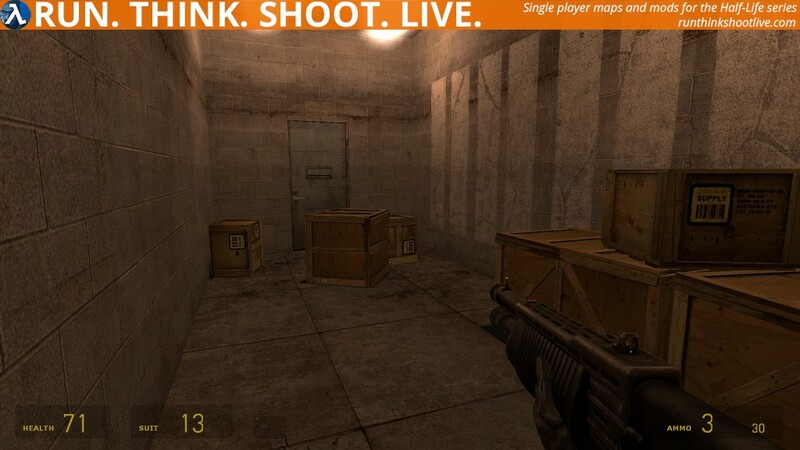 Or says the player is equipped with a C4/ bombs, and he needs to go in the middle of the building to place it! It reminds me of my entries, bad, not fun… but you tried little things! It is a mod. Not the best and not the worst! First off i have to admit I cheated. “Sv_Infinite_aux_power 1” I do this for very hard or dark mods to keep the light on and to make my suit more realistically stronger for tougher mods. well this mod is not as hard as I thought from Phillip’s review or am I really finally learning to shoot straight on the move! I thought there was maybe too much ammo available to rain grenades down on those machine gun positions. The climbing aspect was nice to progress to the next, somewhat repetitious stage. the gate i opened i was too busy fighting to watch it, it just was gone when I returned after a high level firefight where my inability to use those machine guns accurately nearly killed me! i took out the combine with the pistol! The interior had fighting and boxes, lots of boxes for some strange reason! Then an odd tunnel to another box room. I stacked them to climb up to the control room as my health was low… Disappointment ensued. Now the real odd part of this mod. 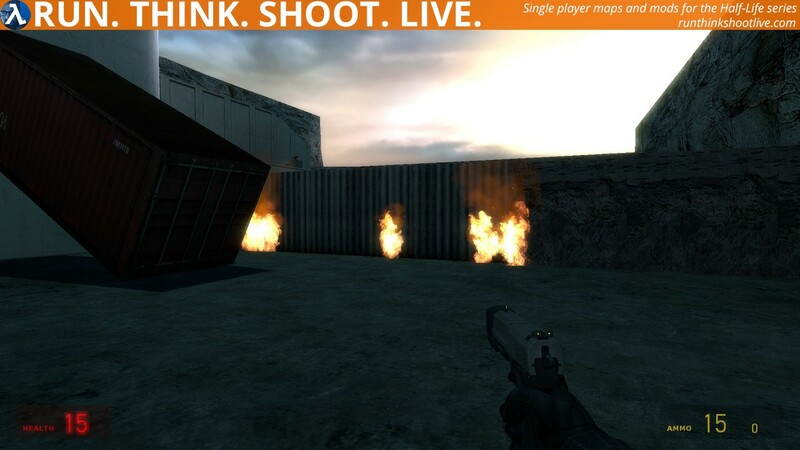 The insane run to get in that room along a walkway as two gunships fire at you with some assorted combine below! Dead, Dead, Dead done it! With scant life I recharged looked for the inevitable RPG. Oh it must be further on and went out the slightly hidden door. Nothing followed as I jumped, fell into a steaming lorry then died on the deadly sand! i had fallen for the herring that is red! 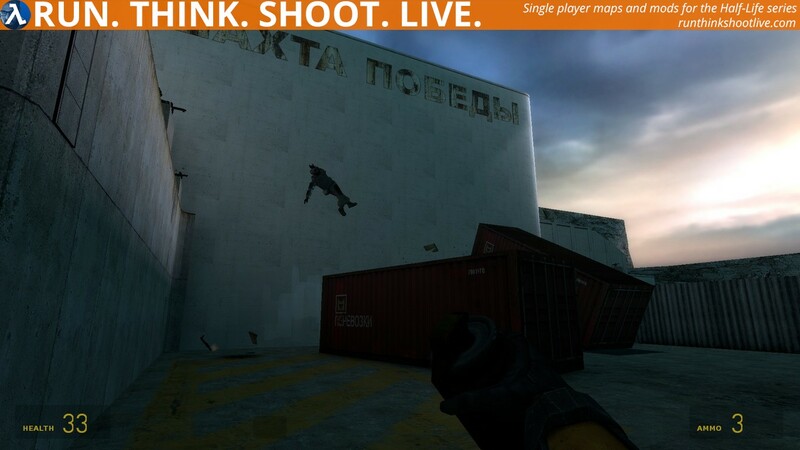 From a quicksave I reached the lorry then run along to the rock wall. Nothing! I waited looking about then ‘The End’ in purple was in my sights! Everyone is right, this map feels noob with lots of things that just don’t work or don’t make sense. I noticed a few graphical glitches also but the rooms aren’t exactly bursting with intrigue. 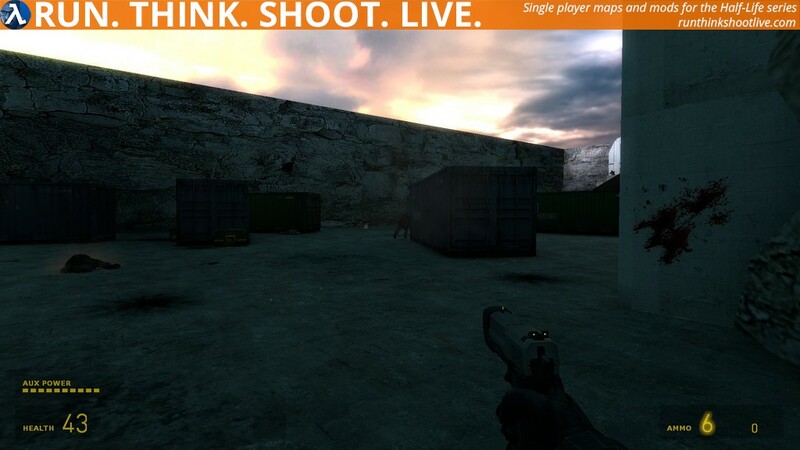 It reminds me of some older fps maps and isn’t exactly interesting to my explorer side… and it needed more lights too. However, I did have some fun with this and there are some quite nice ideas too. Yeah umm it’s okay for a quick game but it’s not one I’d keep on my hard drive if I’m honest. Oh and the poisonous sands are just silly after the useless gunships that also made no sense. I hope the mapper works on this and gains experience from it.